Solid rigid rear basket . Wire front basket comes as standard. Frame Size : 16.5? Suitable for inside legs from 28? to 35?. Wheel Size : 24? Rear with a 24? front wheel. 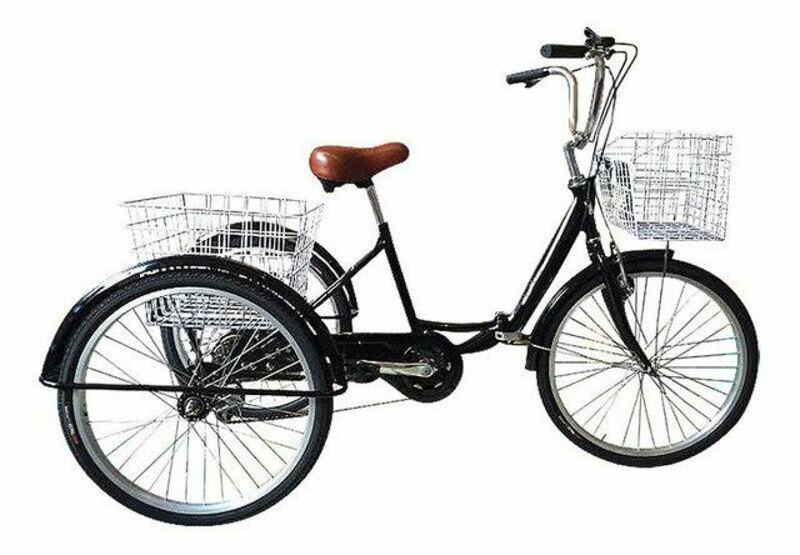 PLEASE NOTE – Height adjustable seat and handlebars which will accommodate most heights. The suitable measurements is just a guide. 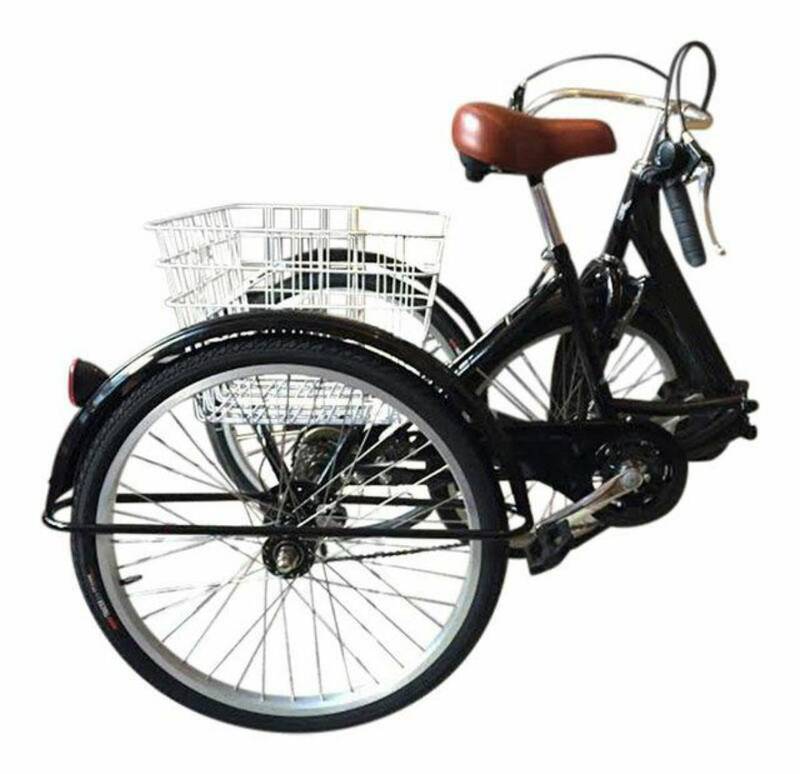 Brakes : Front alloy “V” type brakes , rear disc brake, designed especially for trikes. Weight: 27 kg. Dimensions: Unfolded – 68?x 30.5? x 35? Folded – 43? x 30.5? x 35?